Unicycle trials is a form of unicycling which involves participants attempting to ride a unicycle over obstacles without any part of the rider touching the ground. The obstacles traversed can be set up specifically for the purpose of unicycle trials, but are often walls, railings, ledges and other “street furniture” found in an urban environment. The sport is derived from (or at least inspired by) bike trials and motorcycle trials. Obstacles are traversed using various moves. Hopping is achieved by suddenly forcing the unicycle pedals downwards while holding the seat, the reactive forces resulting from the compression of the tyre lift the unicycle into the air. 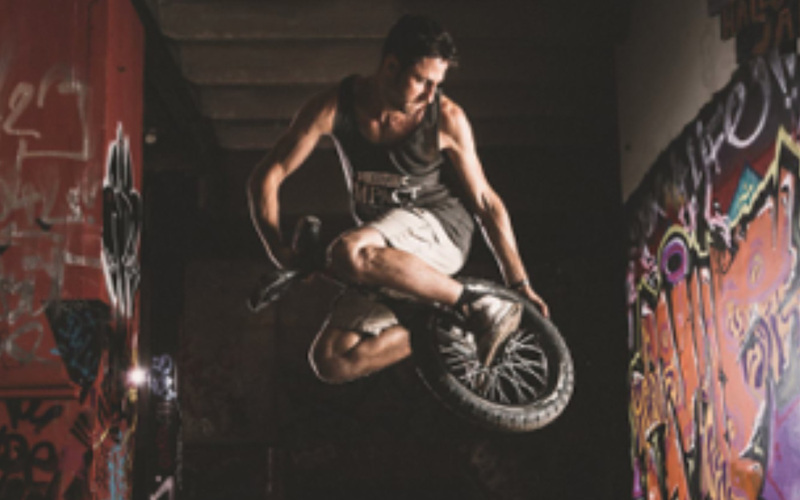 Jumping is a similar to hopping, except that the unicycle seat is held in front of the rider to allow greater height to be achieved. Pedal grabs and crank grabs involve a hop or jump to land the unicycles pedal or crank on the edge of an object, and then a second hop or jump to land the unicycle fully on the object.